Enjoy a great value mini cruise deal where two people can sail to Amsterdam with DFDS for the price of one! How do you make a short break to Amsterdam even better? How about the knowledge that you can take your partner or friend with you free of charge? In this deal from North Sea ferry operator DFDS Seaways you can do just that. Buy two tickets for the price of one, jump aboard the modern cruise ferry and head across to the vibrant city of Amsterdam. Sail overnight and enjoy a day exploring Amsterdam on your own. It's up to you what you do. Just remember to catch the bus back to the port in time for your return overnight sailing back to the UK. Sail from North Shields near Newcastle, Tyne and Wear, early in the evening. Enjoy your evening however you wish. Enjoy the free live entertainment on-board, purchase some drinks from the bar, or feast on a tasty meal in one of several restaurants. In the morning enjoy breakfast if you wish before you arrive at Ijmuiden port, located west of Amsterdam. Once docked, disembark, pass through an immigration checkpoint and head out to your awaiting coach. This will whisk you to Amsterdam city centre. Enjoy the day however you wish. Visit museums, bars, cafés, restaurants, attractions, parks, or browse the shops. For a different perspective of the city hop aboard a canal boat and sail along the network of canals that criss-cross the city. Catch your awaiting bus back to the port in time for the return overnight sailing. Arrive back in the UK early in the morning. Spend the day exploring the local area or head back home at your own leisure. Enjoy a great value short break holiday to Amsterdam at a price that rivals that of some cheap UK hotels. Sail overnight while you sleep and take as much luggage as you can carry. A wide choice of cabins are available: Economy and standard Inside cabins, Sea View cabins, and Premium Commodore cabins for extra space and luxury. Bus transfers are included from Ijmuiden port to Amsterdam city. 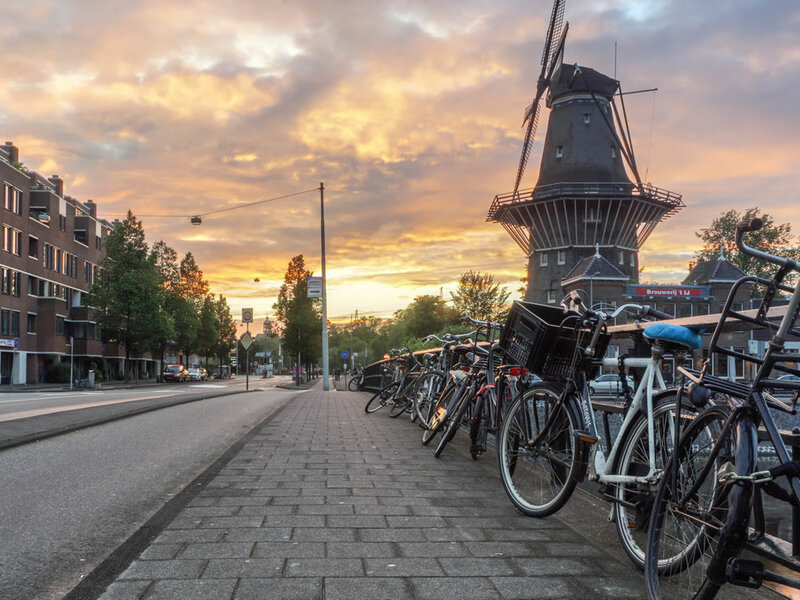 You'll only have up to five hours in Amsterdam so you'll need to carefully plan your trip to make the most of your time in the city. Alternatively, check out the three night option below. Food and drink cost extra although you can pre-book meals online to save money compared to the on-board prices. Instead of paying from £90 per person, this 2 for 1 deal starts from £45 per person, based on two sharing. You might need to try a few dates to find the best deals. You need to book by 16th November 2018, but you can choose travel dates up to 28 December 2018. You can easily add a night in Amsterdam and still take advantage of the 2 for 1 pricing. You'll need to book through this link instead ° to get the three-night cruise and stay option but doing so means you'll have so much more time in the city - and you'll get to experience Amsterdam's legendary nightlife. The caveat is that you'll need to book your own accommodation separately, but personally I think that's a good trade-off, especially as it means you can choose to book yourself into a budget hostel, a mid-range hotel, a luxury pad, or even somewhere quirky like a house boat. Remember, You'll need to book through this link instead ° to get the three-night cruise and stay option and you'll also need to book your accommodation separately, so bear that additional cost in mind. All deals are subject to availability and can be withdrawn by the operator without prior notice. The lead-in prices (otherwise known as the 'from' prices) are, unless otherwise stated above, based on two adults sharing the cheapest available cabin on the cheapest available date. In this promotion the lead-in price will be based on the cheapest ticket available during the offer period of between Wednesday 5th September 2018 and Friday 16th November 2018 booked at the start of the promotion. Typically the best prices are available at the start of any promotion period so the earlier you book the better choice of sailing dates and cabin availability you should have. Mid-week sail dates are likely to be cheaper than weekend sail dates. Additional terms and conditions imposed by the operator will apply to this offer in addition to their standard terms and conditions, both of which can be found on their website °.